Whether greenfield or brownfield sites, urban or rural and everything in between a topographical survey is the base for all small and large scale commercial projects. Using the latest state of the art technology we provide our clients with high accuracy data at cost effective prices. Data is supplied in either 3D Digital Terrain Models and/or 2D plans utilising most formats to suit our clients requirements using LSS DTM land surveying software and AutoCAD. Each and every survey is tailored to the requirements of each client. 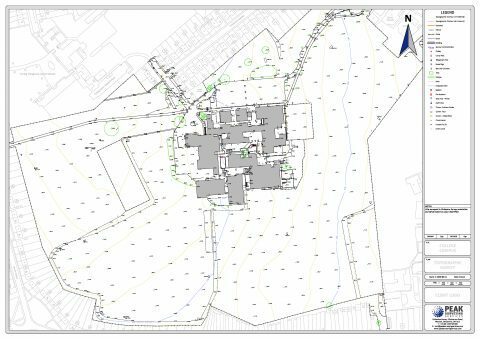 Highly detailed topographic survey of a large scale office complex and surrounding land. The project included the recording of services, roads, building footprints and heights, street furniture and a comprehensive coverage of levels throughout the site. 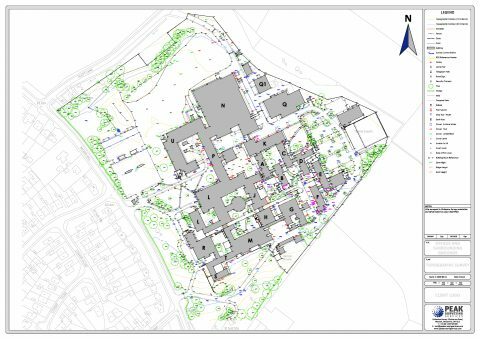 Full topographic survey of an existing college campus and surrounding grounds. 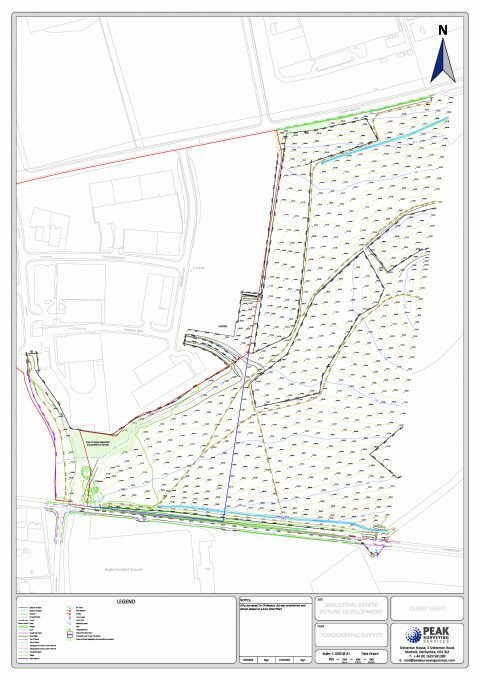 Full site topographic survey for the proposed re-development of land adjacent to an industrial estate.